The town of Ogunquit Maine is one of the state's newest towns. It’s only been around since 1980, when it broke off from next-door Wells, Maine. Maybe that’s why it's so quaint, yet so hip, so happenin’ – it’s got youth on its side! Sure, Ogunquit is a teeny coastal town, with just over 1,000 year-round residents. But how many teeny towns do you know that have America’s foremost summer stock theater (The Ogunquit Playhouse), art galleries every few feet, gourmet restaurants, lobster boat cruises, trolley rides, deep sea fishing charters, gorgeous bed and breakfasts and inns, windjammer cruises, a Mardi Gras parade, high quality live entertainment, antiques shops, an exquisite ocean walkway, AND a pristine, miles-long beach? Huh? How many? Can you count ‘em on one hand? Sometimes the video loads slowly -- if so, just click Pause, and let it load completely while you browse the rest of the page. The most beautiful way of getting to Ogunquit Maine from York Beach is Shore Road along the Atlantic ocean. If I’m in a hurry, I’ll take Route 1 from York and it’ll get me to Ogunquit Center in 10 minutes, but I’ll always choose Shore Road if possible. From late June through early September, visitors in York who want to spend some time in Ogunquit without the trouble of having to find a parking space or paying meter fees can pick up the Shoreline Explorer shuttle (link at bottom of page) from the Short Sands beach parking lot in York. It’ll take you right to Perkins Cove in Ogunquit via Shore Road, with one quick stop at the Cliff House on Bald Head cliff. After exploring the shops, restaurants, art galleries and boat cruises in Perkins Cove, catch the trolley out of the Cove, which will take you on a ride through Ogunquit Center to Ogunquit beach. Ready to return to York? Do the whole thing backwards! The trolleys and shuttles run from late June to early September, and one-way costs range between $1 and $1.50. On some routes, children under 18 ride for free. Those who are driving can follow the same routes from York, of course. Summer weekends can sometimes be crowded on Route 1 heading north into Ogunquit. That’s definitely the time to take Shore Road instead (see map at the bottom of this page)! Parking lots can be found at Perkins Cove, between Perkins Cove and the Village, and in the Village itself. 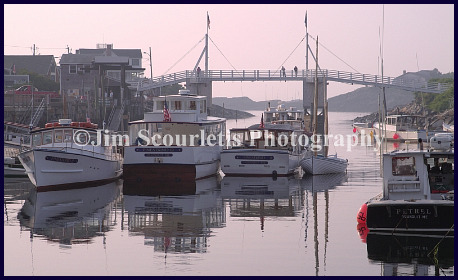 Perkins Cove is a small, picturesque harbor in Ogunquit Maine. 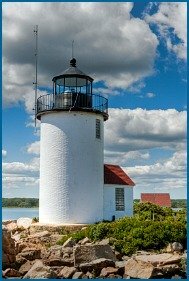 Filled with shops, art galleries and restaurants, Perkins Cove is home base for the local lobstermen and a great place to take a lobster boat cruise, or set out on a deep sea fishing expedition. 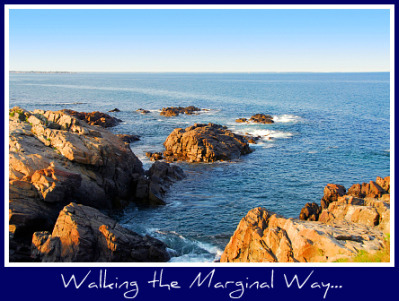 Home to Maine’s only manually operated drawbridge, Perkins Cove is also the beginning (or end) of the famed Marginal Way, a fantastically scenic paved footpath at the oceans’ edge, which runs for 1 ¼ miles between the Cove and stunning Ogunquit Beach. The beach in Ogunquit Maine is one of the few municipally owned beaches in the state. Three and a half miles of silky, powdery white sand make Oqunquit beach one of the most spectacularly beautiful beaches in the whole state of Maine. The Ogunquit river flows right through town and meets the Atlantic on Ogunquit beach. My sister and brother and I spent many hours floating with the current in the warm water of the Ogunquit river as children – and now my children do the same. You can get to Ogunquit beach from just 3 locations: the Main Beach, with access from Beach Street; Footbridge Beach, reached from Ocean Street via a lovely, arched pedestrian bridge, and Ogunquit North Beach abutting Moody Beach and accessed from Bourne Avenue in Wells. Ogunquit Village, where four streets meet without a traffic light! Which is true, but typically isn’t a problem unless it’s a summer Saturday. If it IS a summer Saturday, take Shore Road from York, or take that trolley! It’s a fairly easy walk from Perkins Cove up to Ogunquit Village, passing along the way unique shops, hotels, art galleries, and terrific restaurants. 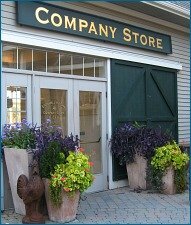 In Ogunquit Village you’ll find more terrific shops, including one of my kids’ favorite small toy stores in the area – Animal Instinct. 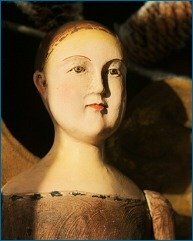 The largest art glass gallery on the East Coast of the United States is in Ogunquit Village (Panache) and, um, a place I visit far too often: Harbor Candy Shop. 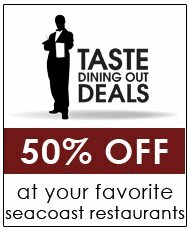 You won’t find a Burger King or McDonald’s in this town, but you will find fantastic food in the Village from classic French cuisine at 98 Provence to great Italian and Thai restaurants. 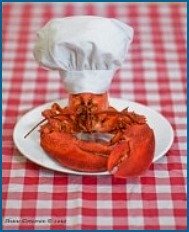 And of course, lobster, lobster, lobster!